Beautiful 'Blood Red' star shaped flowers. Enjoy these spectacular flowers in pots or in the garden in warmer climates. 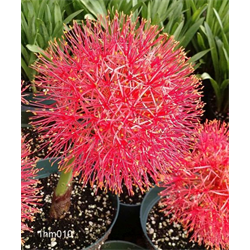 Pricing on Haemanthus bulbs for sale is per package and per item (quantity discounts apply).